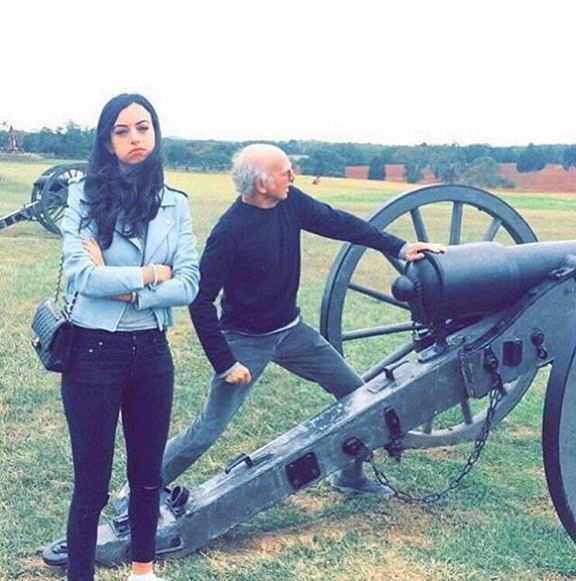 Larry David loves history and one summer he dragged his kids to every single Civil War battlefield. My father would never stop, except for oil, gas, food, or maybe open wounds. Other than that, as he put it, "We have to make time, Kid." Every summer we would go back to Iowa to the family farm and we were on Route 66 and the roadside attractions were fantastic, but we blasted by them all, until I finally got him to agree to give me one place to stop on the way back from Norskyland. Even then, he tried to weasel out of it, but I kept poking him in the neck as he tried to pass a gaggle of trucks west of Santa Rosa, New Mexico. He finally pulled into the Longhorn Museum near Moriarity and I was thrilled and, more importantly, I was hooked on stopping and I swore when I had my own family, we would stop nonstop, to their heart's content. So, when I had my kids we stopped at every hysterical marker (as we called historical markers) and every museum, no matter how small, or ridiculous (the Ball of Twine Museum, anyone?). Consequently, my kids quickly grew to hate it: both the crappy curiosities and history itself.